The Elddis Crusader range offers 5* Luxury, with style and specification to leave the competition standing. From the sporty, head-turning exterior to the impressive and lavish interior - no other caravan looks or feels like a Crusader. 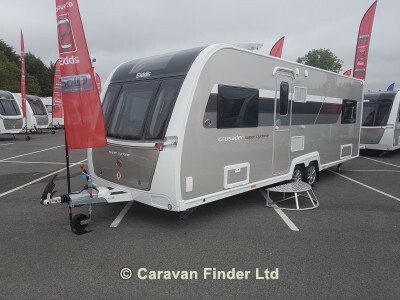 The Crusader boasts innovation in every detail and offers unique and high level specification as standard, with space and practicality in abundance. The Crusader's class-leading, craftsman-built cabinetry exudes grandeur, whilst maintaining its competitive lightweight edge. This is the first and only choice for all serious caravan connoisseurs!